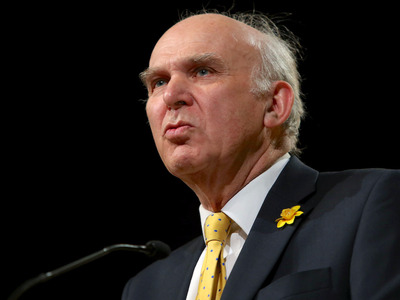 LONDON — Sir Vince Cable was on Thursday confirmed the new leader of the Liberal Democrats. The veteran MP for Twickenham was crowned the party’s new leader at a press conference in central London after no other Liberal Democrat MP made a bid to succeed the outgoing Tim Farron. 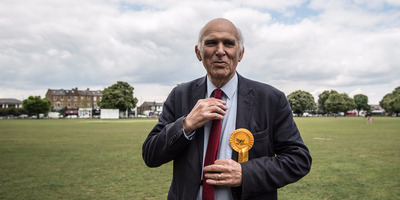 Cable told party members that the Liberal Democrats under his leadership would fill the centre ground in British politics vacated by Labour and the Conservatives. “We have this gigantic hole in the middle of British politics,” he said yesterday. But who is he? And what will he actually bring to the Liberal Democrats? Who is Sir Vince Cable? At the age of 74, Sir John Vincent Cable is the Liberal Democrat’s oldest ever leader and one of Parliament’s most experienced MPs. He was a Labour councillor in the 1970s before defecting to The Social Democratic Party in 1982, which later merged with the Liberal Party to form what we know today as the Liberal Democrats. He stood unsuccessfully for Parliament on four occasions before finally being elected as MP for Twickenham in 1997. He lost the London constituency to the Tories in the Lib Dem collapse of 2015 but won it back last month. Cable — who has been dubbed the “sage of Twickenham” — has held positions both within his party and UK government. He was handed his first senior position in 2003 when he was appointed the Lib Dem Treasury spokesman. He went onto to be the party’s deputy leader in 2006 and a year later served as acting leader until the party elected Nick Clegg. David Cameron made Cable his Business Secretary as part of the coalition government deal between the Conservatives and the Liberal Democrats — a role which he carried out until losing his seat in 2015. Cable played a key role in shaping government policy and was described as “the moral centre” of the coalition by political commentator Peter Oborne. Cable said on Thursday that he and the other Lib Dem MPs who served under David Cameron tamed the Conservative Party and helped bring about “strong and stable government”. Away from Westminster, Cable enjoys ballroom dancing and is currently working on his first novel, a political thriller about life after Brexit called Open Arms. In his leadership manifesto, Cable outlines his vision for an “ambitious” Liberal Democrats (the word “ambitious appears 12 times) based on social liberalism, economic competence, and continued staunch opposition to Brexit. “I think it is right to aim for Britain remaining in the single market and customs union and retaining all of the collaborative arrangements around research and environmental standards. They are things we should be fighting for. “It is time to reject the Tories’ reliance on cuts to achieve fiscal discipline, and rebuild Britain’s public services — funded by targeted tax increases, as we argued in our general election manifesto. It is time to invest in infrastructure and housing. “The economy of tomorrow will be complex; jobs will change, disappear and be created anew. We need a long-term approach to investment, innovation and skills. He believes in maintaining high-levels of immigration and has criticised the Brexit campaign for demonising migrants as part of their mission to get the public on their side. He said earlier this month that the atmosphere towards foreign people following the Brexit referendum was comparable to Enoch Powell’s famous 1968 anti-immigration “rivers of blood” speech and added that the Leave vote was caused by elderly people who were “obsessed” with immigration. What will he bring to the Liberal Democrats? Lib Dem figures within the party feel that Cable offers the experience and stability the party needs after a turbulent few years. He is well-respected among colleagues and members alike and received their backing early in the process, despite initial speculation suggesting that now deputy leader Jo Swinson was all set to replace the outgoing Farron. Plus, with Clegg no longer an MP and Farron out of the picture, Cable is probably the party’s most recognisable face among voters. Lib Dem figures regard this as a major advantage as they to try and rebuild the party’s support. The elephant in the room is, of course, Cable’s age. He is the party’s oldest ever leader and will be approaching the age of 80 if he takes the party into the next general election, which is scheduled to take place in 2022. It was reported last month that Cable plans to stand down before 2022 and hand the reigns over to Swinson. However, the new Lib Dem leader shot down this rumour in his interview with Business Insider earlier this month. “I am clear that I am not just there as a stopgap or a caretaker,” Cable said. One thing he says he will not bring back to the party is coalitions. He has called for “grown-up politics” and has expressed willingness to back the government in areas of agreement, but has completely ruled out taking the party back into coalition. “We are not remotely contemplating coalition with the current Labour Party or with the Conservatives,” he told BI.